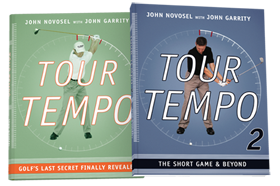 Posted on March 29, 2018 March 30, 2018 by John Novosel Jr.
See how Doug added over 30 yards to his drives. I was running a long drive contest for a charity event and Doug came thru with pretty good speeds for a 50 year old. I told him that if he ever wanted to take it to the next level to give me a call. I knew he had potential as I saw some power leaks in his swing. The Speedball with Power Module got him to use his lower body (he was previously all upper body) and the cool part was that I didn’t have to tell him anything verbally to do that. When you present the body with resistance (power module), the body figures it out on it’s own. Throwoffs are amazing for creating lag without thinking, check this pic with Doug before and during a throwoff. The lag difference is huge and that’s why he’s increasing speed! 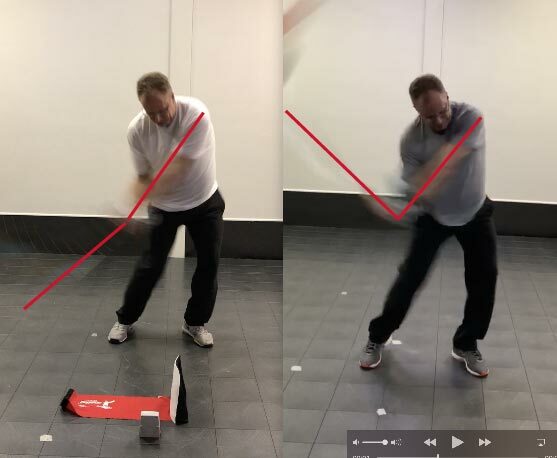 The Power Whip got him to feel the angle between his left forearm and the shaft (he previously didn’t have much lag, so major power leak), plus when you use the power whip on the throwoffs, you get a great synergy. The last key to Doug’s swing was loading the backswing. He didn’t have much of a turn. So we did Lagman loading drills to put the right glute/hip on stretch and really load the system with a great hip/shoulder turn. 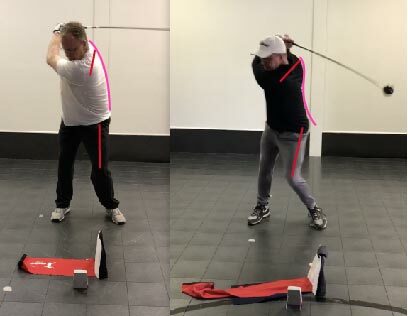 Look at this before after photo, paying particular attention to the shoulder turn and also the rounded spine (thoracic flexion limits rotation) and then extension and rotation in the after!! Major power position! We work together once per week and he does swings at home once or twice per week, we keep the sessions short (30 minutes) so we can be fully engaged both physically and mentally. The results were/are incredible and even surprised me. The reason I was surprised is that it’s one thing to add 30-40 yards to 220 yard drives. 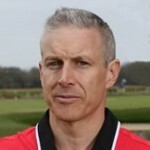 It’s entirely another thing to pick up 30-40 yards once you are already 50 years old and hitting the ball 300 yards. Doug’s initial swing speeds with the Speedball were sub 120 mph (on SSR). After training and showing him our key concepts he quickly jumped into the 125 range and then broke 130! CHS – Increased 5-8 mph! BALL SPEED – Increased 10 mph! 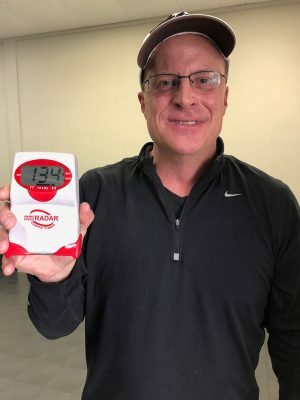 Doug was so excited we went back to our training and in our last indoor session he put up 5 speeds in a row in the 130’s with a high of 134 mph!! I’m really looking forward to part 2 of this Case Study when we get a few more training sessions done and also get to some warm weather. Stay tuned, I’ll post part 2 hopefully in early May and he might be hitting it (gulp) 350! 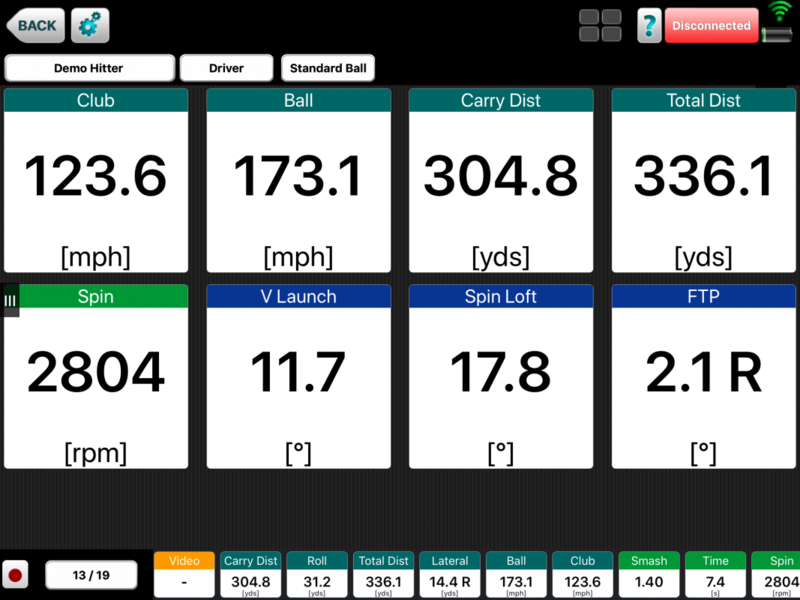 Find out how I increased my speed and hit one 411 yards!